Sending everything all together on mother’s day is now possible. Yes, with MyFlowerTree, you can send stunning combo of cakes, flowers, chocolates and teddy bear to your loving mom on Mother’s Day. You can even choose our personalized gifts combos which ensure to bring a smile on your mom’s face. Mom and child relationship is unique, pure and connected forever. No matter how old we grow, she is always there pampering us. She is not only the ultimate support of an entire family, but she is also the lifeline. She plays so many roles in our life like that of a dear friend when you want to share anything, a good teacher who teaches you to speak since birth, a motivator in tough times and a protector always and so many roles cannot be valued with one single gesture. 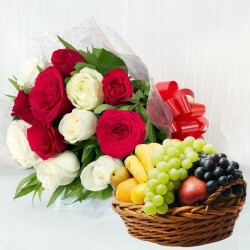 So this Mother's Day, send your mom beautiful combo of gifts from MyFlowerTree that she will just love it. This Mother’s Day choose something unique that your mother will cherish. You can never payback to your mom, for what she always does for you, but your one sweet gesture will definitely going to make her feel happiest. 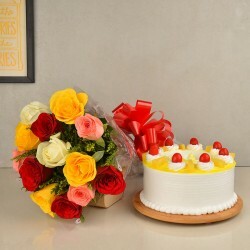 You can send her our special Mother's day combo like Soft and Creamy Combo, Pink Combo, Teddy on a basket, Cake Trio for Mom, Mesmerized by beauty, roses and fruits, Love Ivy, cozy rosy, oriental surprise, silky sweet, love strength, Mother’s Day Special Combo, Elegant Charm, Spectacular Celebration, Splendid Hamper, Divine Delight Combo, etc. Our amazing combo of cakes, flowers, chocolates and teddy bear is wonderful. You can place your order beforehand, to surprise your mom on Mother’s Day. 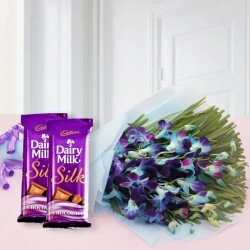 Send combo of mother’s day via express delivery by depending upon us. Our express delivery service helps your gifts delivered in just 3 hours. So, now there is no tension of getting your gifts delayed as our ultimate delivery services is always there for you. Products in this category have been rated 4.7 out of 5 based on 106 reviews.